I give author talks throughout the UK. Check out (below) and contact me on fee's and expenses. I visit approximately 50 schools a year - plus I'm invited to libraries, book fairs and festivals. Please check my 'Events Page' to make sure the day you have in mind, doesn't clash with one I'm already doing, thank you. For teachers; I hold a D.B.S. certificate and Public Liability Insurance. For assemblies I take from Years 3, 4, 5, 6, 7 & 8. But I can also add Year 2 if required. My books are reading age 8+ (KeyStage 2 up). So workshops are for (KeyStage 2 - 3) which is Years 3 up. I can alter the assemblies and workshops to accomodate Year 7 & 8. The Talk - is approximately an hour. 1. I begin with talking about myself and how I started on the road to my writing career. 2. I integrate my short stories and the books I have written into the discussion. I also play act one of my short stories, 'in which I chase an ice-cube' and is an hilarious part of my session. Children seem to enjoy an anamated production. 3. There is a Q&A session where students can ask me anything about writing and I can spend time answering and give them a chance to relay why they picked that question. 4. I explain how I begin writing a book, exploring narrative adding characters and dialogue. I also relate how I develop a character and come up with character and place names. 5. I read a chapter from one of my books and afterwards I do a booksigning and sell the books to the children (normally the school buy copies too) and that finishes the talk. Able & Reluctant Writers with Authors Abroad. Able Writers - the children involved, are really into their writing. A school hosts the event and other schools are invited to visit and join in the story building day. I set a theme and the children give me the character's names and we build a story throughout the day. In the afternoon they read back what they've written and I do a booksigning towards the end. We could end the session with a Q&A or a quiz I've developed, all in all a good day is had by everyone. Reluctant Writers - the children are just as motovated, they just need a little more help to express themselves. This is all done in a fun and enjoyable way, with a few bad jokes thrown in. Workshop - 1 hour session or a full day. HOTSPOT - is a fun way in which I get more indepth, explaining and exploring; Narrative, description, dialogue and pace. The children join in by giving me; characters names, places and so forth in a fun 'throw and catch,' type of game. I also do a,'Minds Eye,' sketch. I ask questions in the session and drop in a bit of humour to keep the interest. At the end of the workshop, I read a short story I've written especially for the workshop or I can read an excerpt from one of my books. The session normally ends with me signing and selling my books. 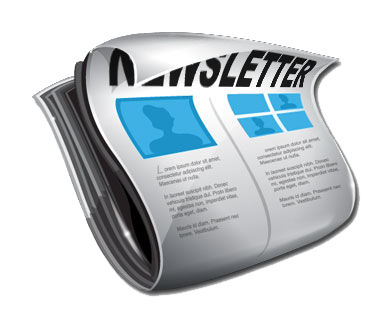 If you want to contact me directly, go to my (Contact Page) and I'll inform you on details of my fees and expenses. I also give talks at libraries, writing circles and institutes. I am part of the 'Writers on Tour,' scheme with Literature Wales. I'm also a member of the Scattered Authors Society aka (the other SAS). Colin R Parsons was a pleasure to have in school; he arrived promptly with his wife and they spent the day with us. The activities he had planned were age and ability appropriate and valuable as learning experiences. He engaged well with the pupils, helping them to overcome their initial nerves with jokes and enecdotes from his own life. He helped them to relax in his company and enabled them to speak freely and share their ideas. As teachers, we were all pleasantly surprised by the quality of the children's work - he gave them ideas to initiate their writing and then, when they were at a sticking point, methods to move their stories on. The children responded well throughout the whole day and enjoyed asking questions and particularly liked it when he read from his own novels. We would happily invite Colin back into school so other children can benefit from his experiences. Jo Haynes (year 6 Class teacher) Wilden All Saints Primary School Worcester: January 14th 2019. Colin was amazing!!! His assembly was engaging and the 635 children in attendance were gripped! The workshop was a success and the children enjoyed the writing activity, learning how to build up a story. All in all, a super day. Will defo book him again. Charlotte DeRenzy Jones - Asst Head - Headfield CE (C) Junior School Dewsbury (June 12th 2018). The day was a fantastic success. Colin himself was a pleasure to deal with. He made contact straight away on booking and then again before the day. I knew exactly what he wanted and he made it all very easy. Colin, and his wife were so friendly, and I would've been glad to have them back the next day! His assembly to the whole school (360 children) was nothing short of brilliant - it was a full-on hour long performance! I would definitely recommend him to any school interested in an author visit. Fab to have a male author too, as there is so much focus on boys reading and writing. It rang true with a lot of our boys who themselves are not fans of reading! Able Writers' Workshop: Dear Colin - Thank you so much for a brilliant day! The children from Trent Young's C of E Primary Yeovil, thoroughly enjoyed the workshop and can't wait to start reading their new books. We are planning a display to promote D.I.S.C. in our school library and the children also want to take what they have learnt about creative writing back to school to inspire their friends to write too. I can't stop thinking about the two children I created in my own piece of writing; what a powerful experience! One boy told me that this has been the best day of his life! Thanks and best wishes from us all. Vicky Morrison - Teacher at Trent Young's C of E Primary Yeovil (February 3rd 2017). My daughter was part of the 'Able Writers' group of children yesterday (February 3rd 2017). She had the most amazing and inspiring day, and it was FANTASTIC to hear her enthusiasm, and see her self esteem boost directly from this. Thank you Colin for keeping her ambition of becoming an author alive. Candice Wall Year 2/3 Teacher at Chilthorne Domer C of E School Yeovil. We thoroughly enjoyed the informative and entertaining assembly and workshop you gave. The assembly was both funny and exciting and really captured the pupils' imagination. It was a real roller coaster ride through the Wizards' Kingdom trilogy with a sharp turn into The Curious World of Shelley Vendor and short visits to Katie Hinge and Crank Tech One. Every pupil was inspired and engaged in you every word. The Year 6 workshop was a perfect follow-up. They benefited from the in-depth discussion on writing fiction and interactive, thought provoking short story you read. Mr Kyle Winter (English Teacher) at Bryncethin Primary School. Colin R Parsons has made several visits to our school, since becoming an author, and has always been a source of inspiration to our pupils. His stories are captivating and the characters are appealing to children across the Primary age range. His animated presentations are a popular addition to our literacy provision, and have been invaluable in explaining and engaging pupils in the writing process. We are grateful for the input he has given to our school and look forward to working with him again. Alison Hall, (English Teacher) Williamstown Primary School. Thank you so much for an invaluable visit to our school yesterday. The children were enthralled and gained a tremendous amount from the experience. The level at which the presentation and workshops were pitched (Keystage 2) was just right and the children were extremely impressed with meeting a 'real' author. It has been inspirational and we will recommend your visits to other schools. Thank you so much for visiting our school and capturing our pupils’ imaginations.Colin came to our school as part of our library project – children are now queuing up to have opportunity to read his fabulous books! The pupils loved Colin’s fun filled presentation and our children were inspired to actively create their own characters and stories. In fact our writer’s club has been inundated with children wanting to sign up! Colin was not only entertaining but incredibly informative.Thank you so much Colin for giving our pupils a wonderful experience. Pupils were really engaged in the activities. All loved listening to Colins stories and were eager to join in asking questions. The children enjoyed the workshop and were fully immersed in the process of writing the short story. I talked to the children and their main comments were that they loved the day and that you were awesome. I asked what engaged them most and they said your story telling, using actions and expression and humour really seemed to capture their attention. They said that they found your explanation of how you write and gather ideas, useful. A few also said that reminding them of the task half way through really helped them to stay focused. Overall a very enjoyable day, and thank you for taking the time to have photos with the children and answer all their questions. We were very fortunate to have Colin come to our school in summer term 2013. The children were extremely excited as the school has an excellent reputation for creative writing; with many children getting published in their own books and winning writing awards. This was an absolute great to have a writer at our school; and a local one at that. 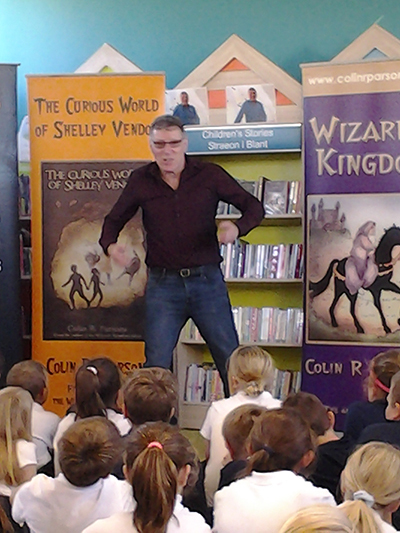 Colin wowed the children with tales of his childhood and inspirations for many of his novels. All presented with a quirky and humorous fashion; much appreciated by the excited audience. The children really enjoyed the workshops where Colin went into detail about his books. The day was rounded off with the children having the opportunity to purchase his books and get them signed by the man. These workshops were a major success and thoroughly enjoyed by Treorchy Primary School. A definite revisit is on the cards in the new academic year. Diolch Colin. Colin ran the day really well. His delivery was entertaining and informative. The children were fully engaged and produced some great writing. They really enjoyed his visit. What a fantastic day. 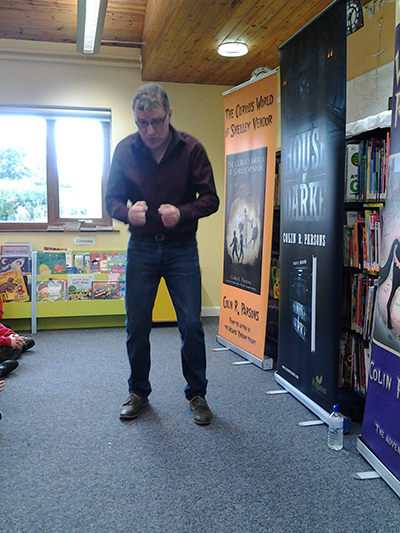 Colin Parsons was captivating, the children were enthralled and thoroughly enjoyed the day, producing some excellent short stories. Both myself and our Headmaster, Mr Barker had a lot of great feedback from the other schools. I would like to say the children really enjoyed the workshop, and have spoken about it a lot over the past few weeks. Hope to see you with another group of children in the near future. We had a fantastic day with Colin, and the children benefitted a lot from Colin's input. It was a really good day with Colin R Parons. Everyone from each school was enthused by his passion for writing, and his fantastic approach and advice in thier writing of 'Death Trap' - the children at Welford were still talking about it days after. I'd just like to thank you for the time you spent with us here at 'The Gleddings Prep School Halifax' today. Our children had a wonderful day with you and learned a great deal about how to (and how not to) approach their own writing. They are still 'Buzzing' about what happens in the wardrobe! I hope you are able to return to our neck of the woods sometime soon. Susan Parsons English Specialist and MIV Teacher Leader - The Gleddings Preparatory School Halifax. 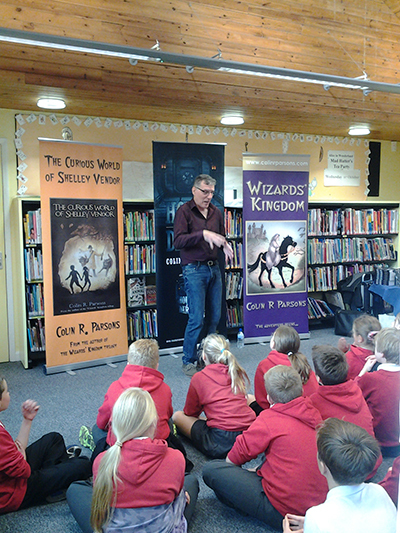 Colin Parsons delivered an able writers workshop for years 5 & 6. He shared ideas for writing, and modelled various techniques, which the children were then able to use in their own work. He was enthusiastic about writing - and being an author, which inspired many of the children who attended the workshop. Emma Jones Literacy Coordinator at Hormbeam Primary School, Deal Kent. Colin has visited St Francis Catholic Primary School on two occasions. In the Autumn term Colin led our Able Writers Day. First he ran an assembly for the whole school, where he shared with the children, his books and what inspired him to become an author. The children were also given the opportunity to have a question and answer session. This was greatly enjoyed by all the children! For most of the day he led a workshop with some of our Year 4's and Year 5's. During this session, the children were shown how to create exciting story starters, how to edit and improve their work further and read aloud with confidence. At the end of the day, Colin led a book-signing session, which all the children from across the school were able to attend. 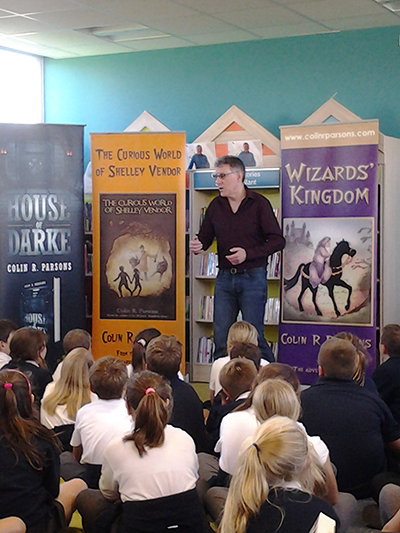 During Book Week, Colin returned to St Francis to lead workshops with all our junior classes on fantasy stories. This was linked into our theme of, The Lion, the Witch and the Wardrobe. These workshops were received extremely positively by the children and they went on to create their own fantasy stories 'Journey into the Unknown'. The school hall was very warm this morning, yet you managed to keep almost 400 children sat still, animated and on task not to mention the staff. It was very enjoyable and they produced some fantastic short stories in class after being inspired from your assembly. Well done. It was a super day! Thank you so much. The girls loved it. They couldn't wait to get home to finish the stories they had started, and to get stuck into your books. They really enjoyed how you got their imaginations running without all the story mapping, boxing things up and planning lol. Thank you!! The Pupils wrote such a lot during the session with Colin, and really enjoyed the day. He came well prepared and was a pleasure to work with.